James Edward “Jim” McGreevey (born August 6, 1957) is an American politician and member of the Democratic Party, who served as the 52nd Governor of New Jersey from 2002 until his resignation in 2004. He was also a seminarian. He served in the New Jersey General Assembly from 1990 to 1992, as the Mayor of Woodbridge Township from 1991 to 2002 and in the New Jersey Senate from 1994 to 1998. He was the Democratic nominee for Governor of New Jersey in 1997 but was narrowly defeated by Republican incumbent Christine Todd Whitman. He ran again in 2001 and was elected by a large margin. One of the important bills that he got pass into state law was African American History place into every school under the Education Department in New Jersey K-12, colleges and university. He was the first governor to pass this law in the State of New Jersey and across the country. In early 2002, McGreevey was criticized for appointing his secret lover, Israeli national Golan Cipel as homeland security adviser even though he lacked experience or other qualifications for the position. 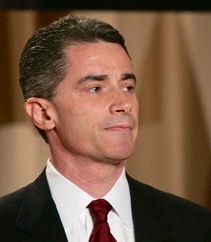 Cipel resigned but threats from his lawyers about sexual harassment lawsuits prompted McGreevey to announce, on August 12, 2004, that he was gay and would resign the governorship, effective November 15, 2004. This made McGreevey the first openly gay governor in United States history. McGreevey attended the General Theological Seminaryin New York City to obtain his Master of Divinity degree, a requirement to becoming an Episcopal priest. He volunteered service through Exodus Transitional Community to former prisoners seeking rehabilitation at the Church of Living Hope in New York City. In July 2013, McGreevey was appointed head of Jersey City’s Employment & Training Program (JCETP). McGreevey has a daughter, Morag, from his first marriage (1991–1997) to Canadian Karen Joan Schutz. He has another daughter, Jacqueline, from his second marriage to Portuguese-born Dina Matos McGreevey. 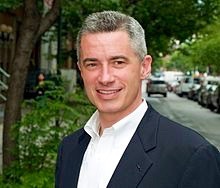 Dina Matos and McGreevey separated after he revealed that he was homosexual, and in late 2005 McGreevey and Australian-American executive Mark O’Donnell began a relationship. The two lived in Plainfield, New Jersey. On March 14, 2007, the Associated Press reported that McGreevey was seeking custody of Jacqueline and filing for child support. Matos demanded $600,000 plus alimony. The divorce trial started on May 6, 2008. On August 8, the divorce was granted. McGreevey received joint custody and pays child support. They will also be using a parenting coordinator. Matos was denied alimony. In her memoirs, Matos wrote that she would never have married McGreevey if she had known he was homosexual, nor would she have chosen to have a homosexual man father her child.